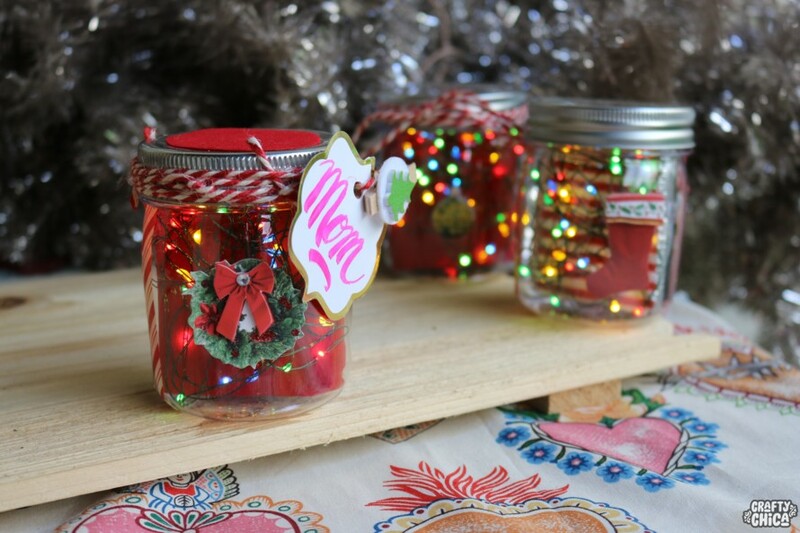 Mason jar crafts never go out of style – and here is a super “bright” idea for the holidays – make Mason jar gift card jar lights! 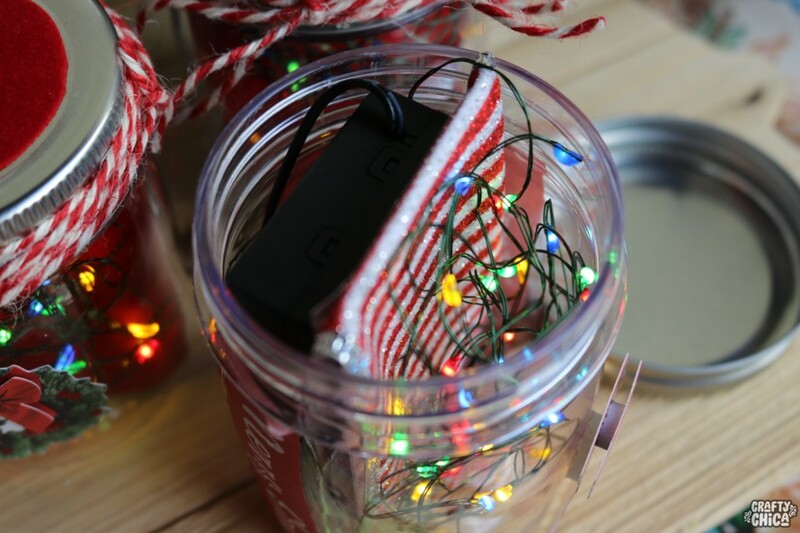 I used a set of battery-operated mini-lights to go inside the jar, as well as a wrapped gift card. These look magical under the tree because you can set them to dim, flash or just leave on a steady illumination. Make sure to follow @ConsumerCrafts on social media! 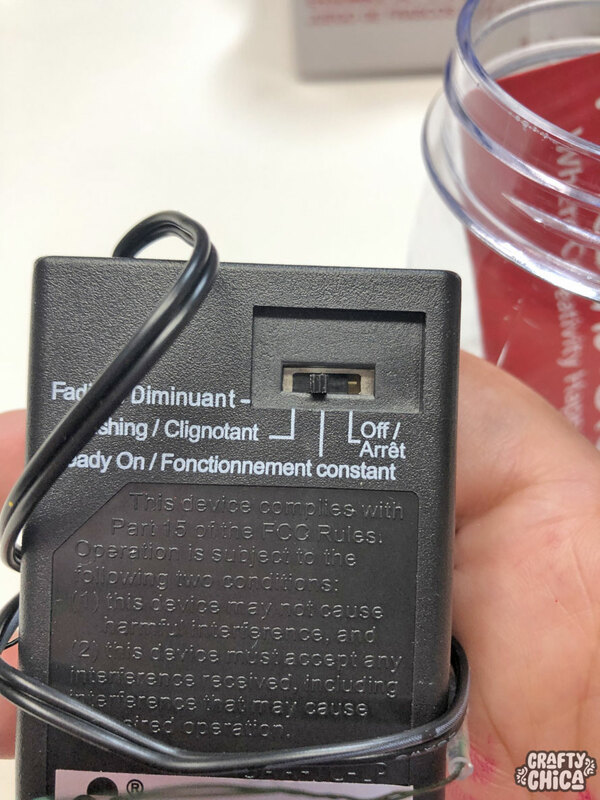 Battery-operated mini-lights – another light option- and another! You can mix and match the size of the jars with the lights. There are so many variations of color, size, etc. 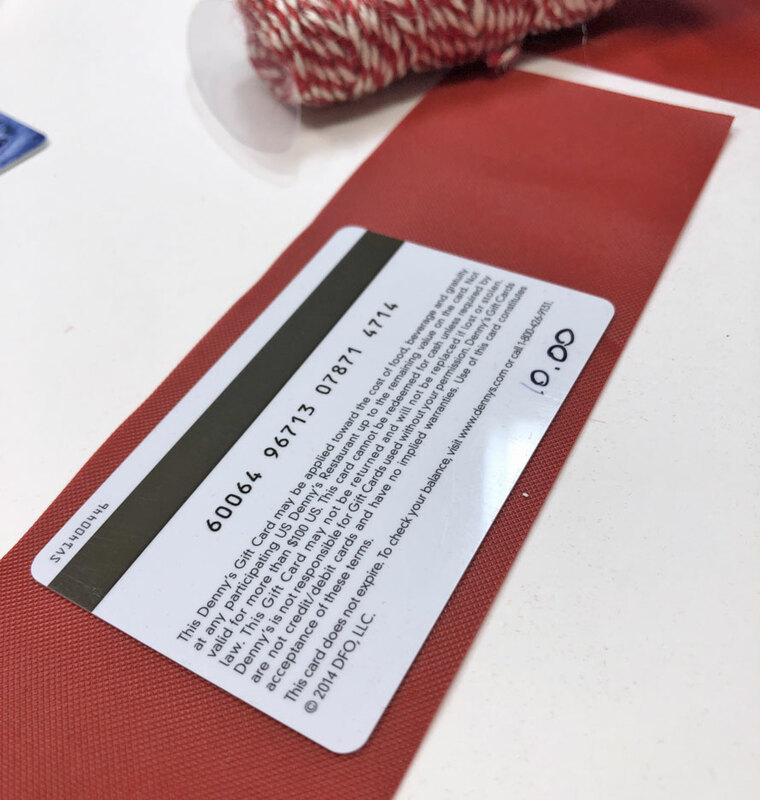 Start by wrapping the gift card with the ribbon. 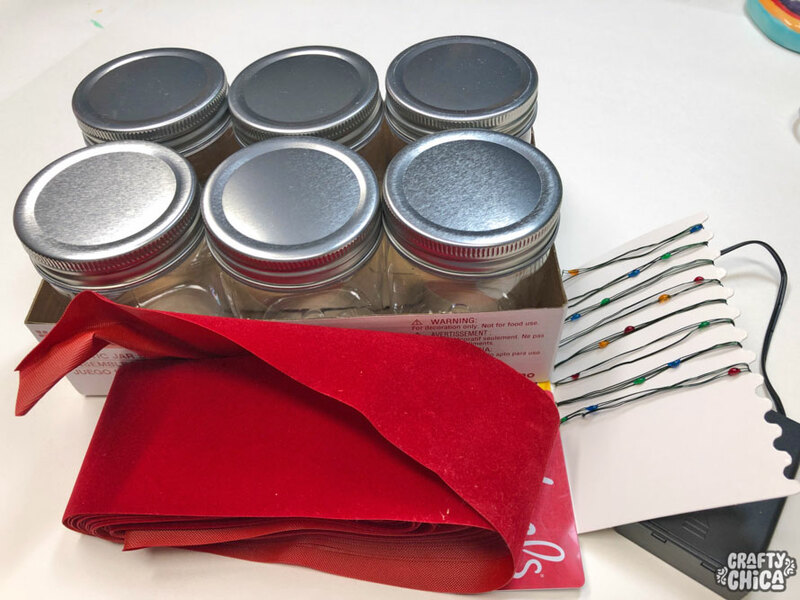 This is where the surprise comes in – otherwise it looks like a jar of lights, but really there is a treat hidden inside! I used dry adhesive to connect the ribbon. Add the batteries to the pack and wrap the cord around the pack. Set the gift card on top and slide into the jar. Stuff the lights in the front. 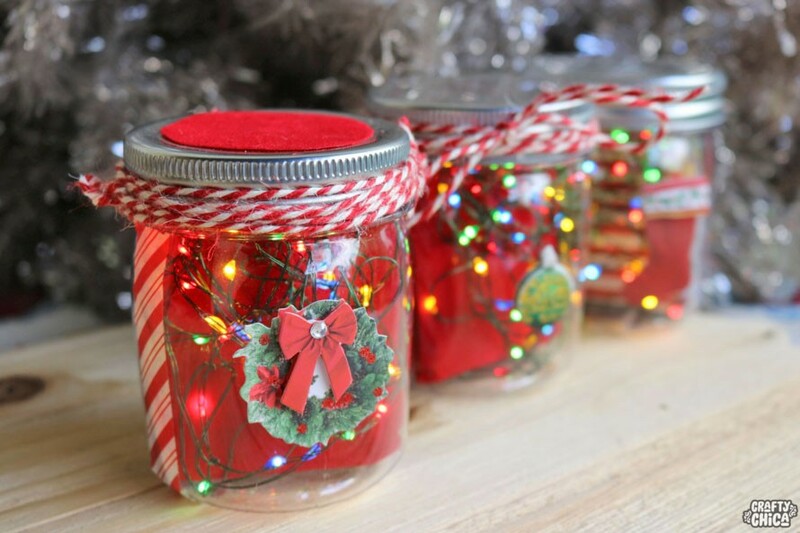 Or you can arrange them throughout the jar – especially if you are using a bigger jar. I used washi tape on the sides to hide the battery pack. Add the sticker to the front of the jar. 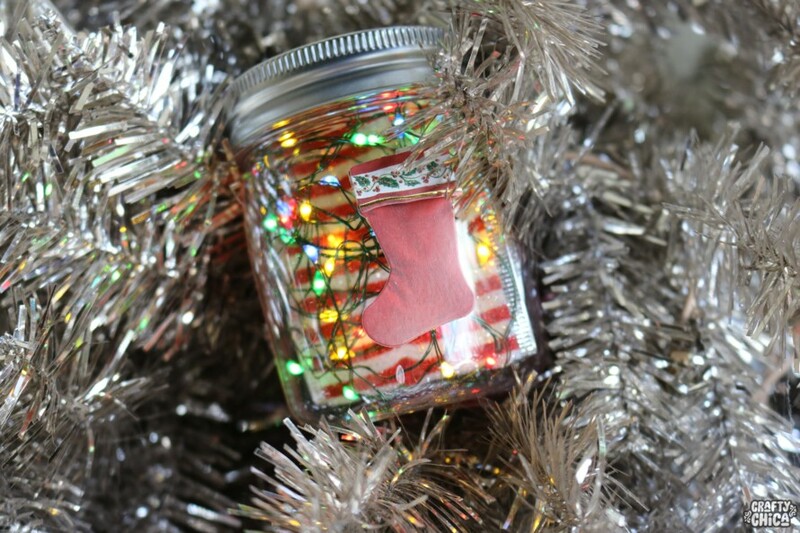 You can add a gift tag or even a photo of the person on top of the jar. Wrap the twine around the border of the lid to give it more character! 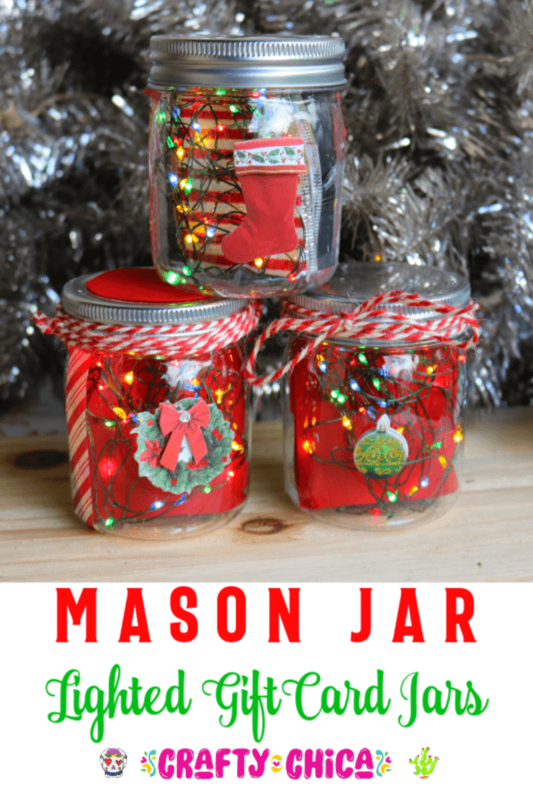 Thank you for checking out my Mason Jar Gift Card Jar Lights project! 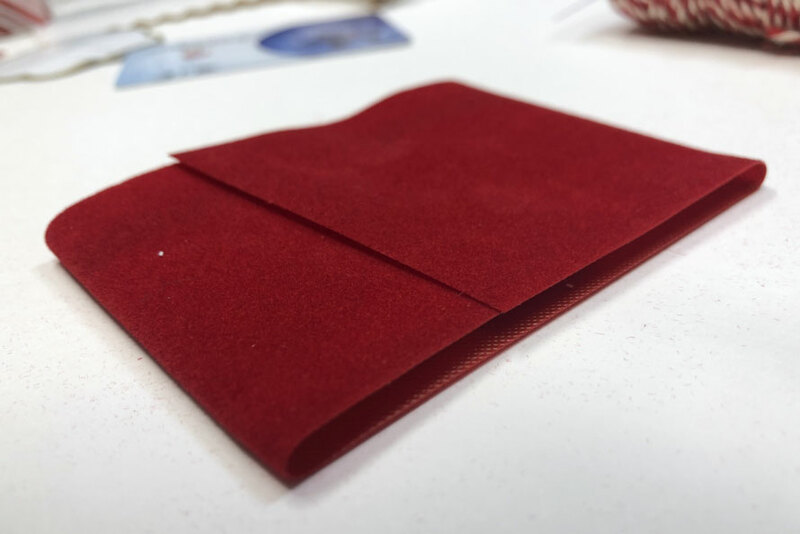 And muchas gracias to ConsumerCrafts for sponsoring this post! Make sure to visit their site for all kinds of awesome supplies and promotions. 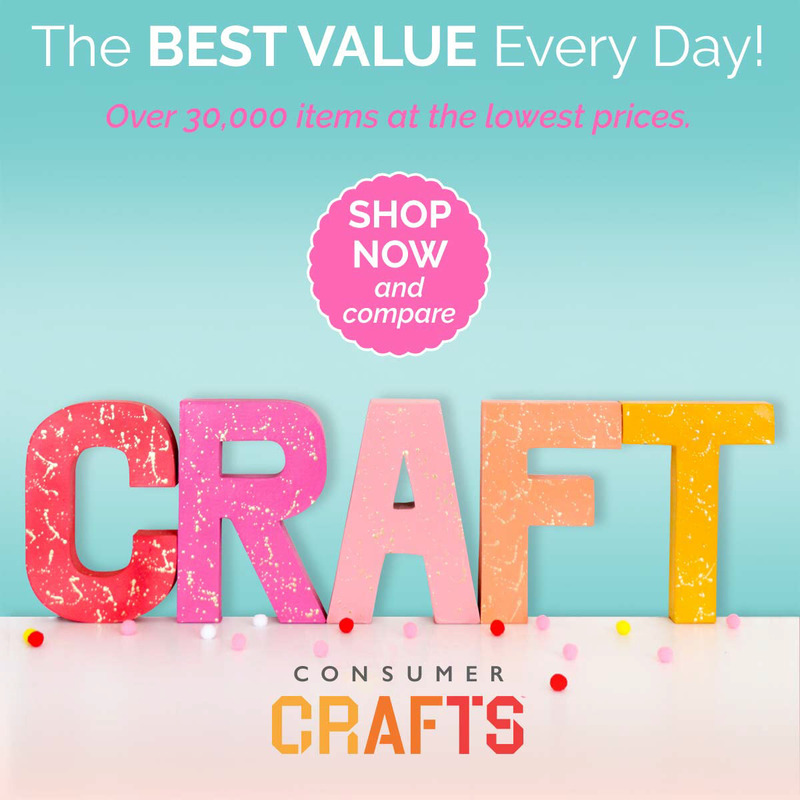 Follow ConsumerCrafts on Facebook, Twitter, Instagram, Pinterest, and YouTube! 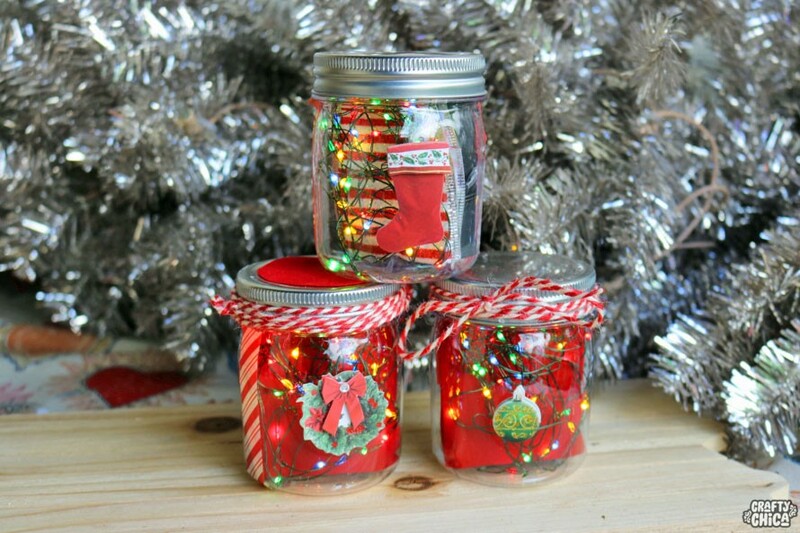 Check out more Crafty Chica holiday ideas here! Previous ArticleMy new book + a weekend trip to Mexico City! Yay! That’s my wee one McKenna! It was great meeting you for such a fun event. Viva la glitter!